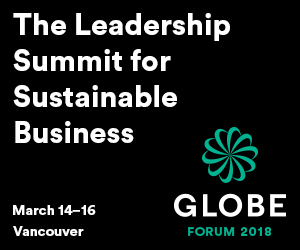 ICTC President and CEO Namir Anani is moderating “The Innovation Dividend – Navigating the Digital Shift” panel at the GLOBE Forum in Vancouver on March 16. The panel is to discuss and explore the key technological trends which are reshaping the business landscape in Canada such as: eCommerce and intelligent retail, IoT and hyper-connectivity, media and entertainment, artificial intelligence, autonomous systems. They will also Address the catalysts for stimulating innovation and growth for Canadian enterprises in a global context. Some of the discussion themes will include: The talent factor, diversity & inclusion, trade in a global context, culture of innovation, fiscal & financial stimulus, others.